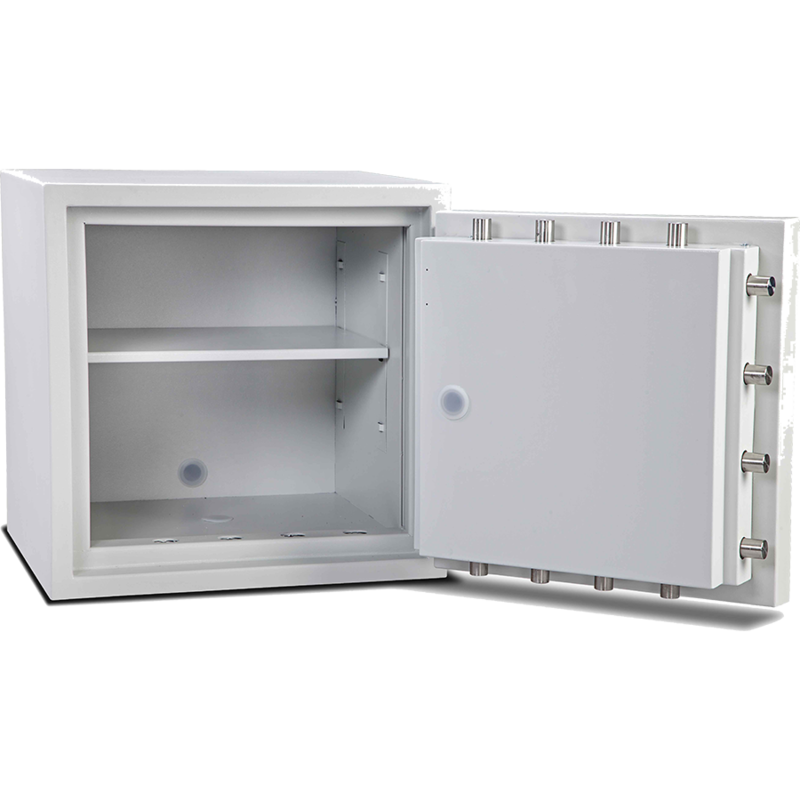 The Eurovault Aver Grande 4 Size 1 Standing Safe is independently tested and certified by ECBS to EN1143-1 Grade 4 standard. It has a cable hole for alrarm connection and comes complete with a multiple-relocking device to secure the door incase of attack. 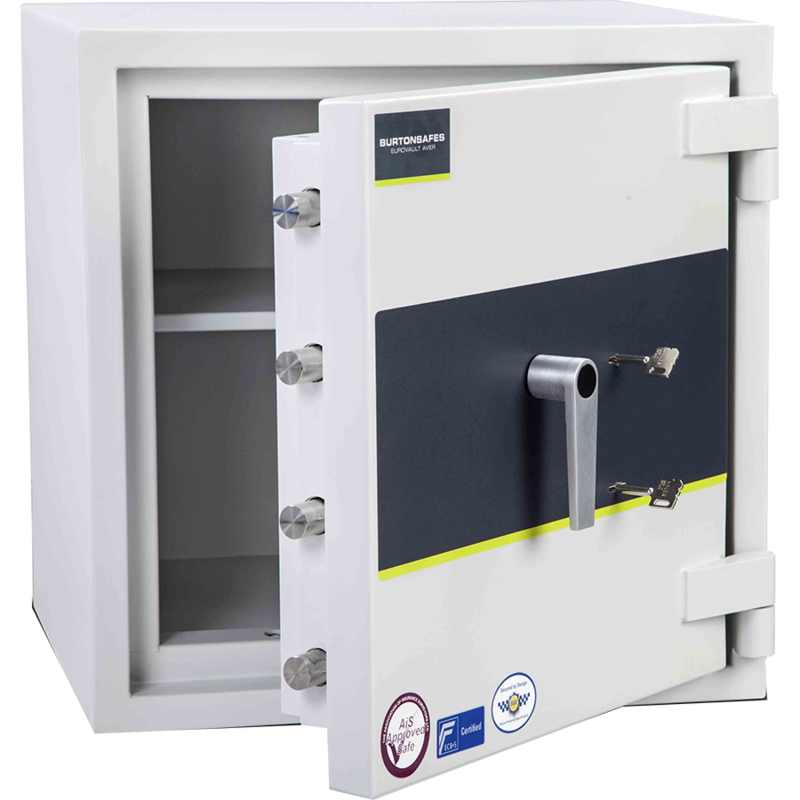 This safe is ECBS accredited, ECBS is a world renowned German accreditation body. 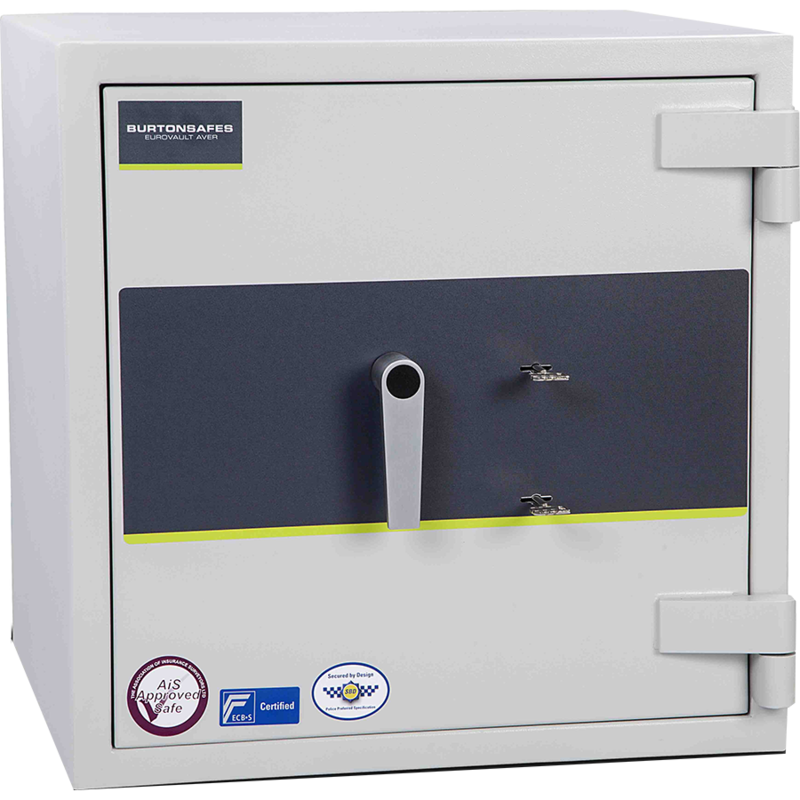 The safe also features a Secured by Design certification, offered by the UK Police. For information on delivery or to ask any questions about this safe, please get in touch by phone: 0121 355 6020 or by email: info@atkinsonsbullion.com.